The Pressure Independent Valves, PIC-V and MVP, can be piped in a parallel orientation to achieve flowrates greater than the maximum flowrate available. For example our 6″ MVP can limit flow to 469 gpm. For applications that require flows greater than this, many customers have successfully connected two of these valves in parallel with a common manifold. The controls contractor will need to set up the valves to use one common control signal. For example, the first valve will be set up with an actuator that will accept a 2-6 VDC signal. The second valve would be set up with an actuator that will accept a 6-10 VDC signal. 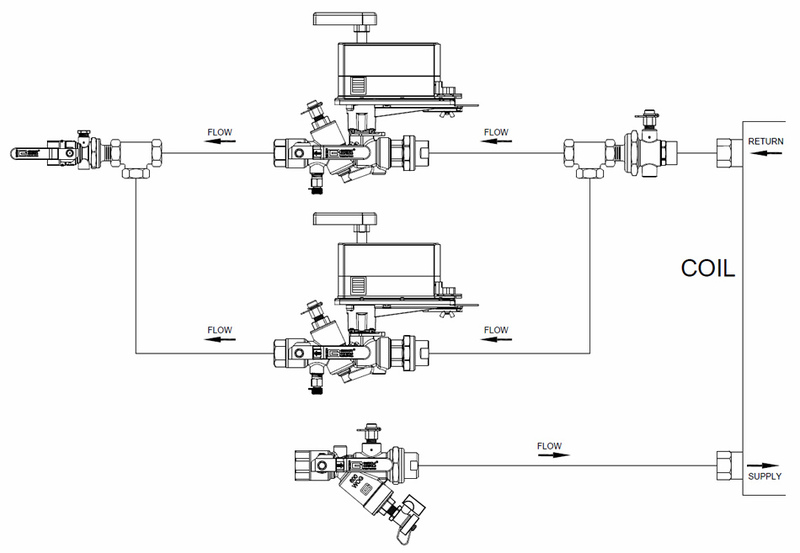 All signals between 2 and 6 VDC will control the first valve from closed to full open. Then at 6 VDC the second valve will begin to open until it is at maximum flow at 10 VDC. Therefore, through a single 2-10 VDC output, the expanded flow range can be achieved. The actuators will be wired in a parallel arrangement as shown in the diagram. Questions about this application? Contact info@GriswoldControls.com, call 949.559.6000 or fill out the contact form on this page. 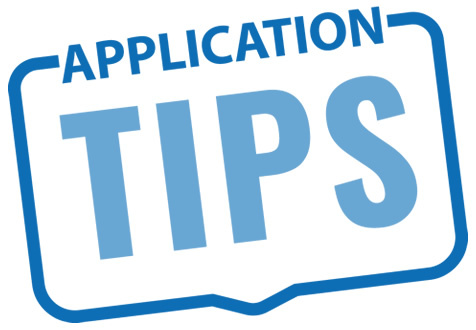 Do you have a question on this Application Tip or any of the Griswold Controls products? Fill out the form below and someone from Griswold Controls will get back to you shortly.